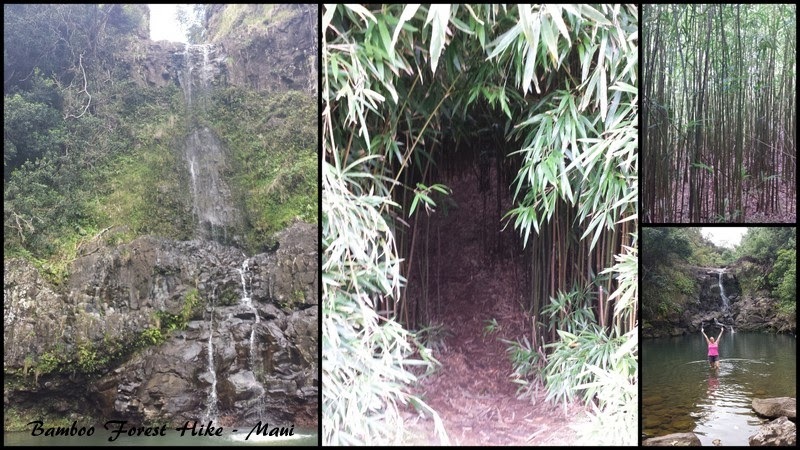 If there's one hike that I've heard about from everyone since moving to Maui, it's the Bamboo Forest. Everyone loves it. Everyone does it more than once. This is the hike that you take visiting friends (or new residents...ahem) on to show and tell: this is is the real Hawaii. It's not marked. There's not a designated parking lot. You enter through breaks in the fences. Hiking through the bamboo. Over, around and through creeks, pools and falls. To get to the last waterfall, swimming is required. You use questionable looking ropes and ladders. Some people hike barefoot. It is in guidebooks and on trip advisor, but you're more likely to do it with someone who has done it before. You can also jump off waterfalls....and who doesn't love that? Have you had a real local experience where you live recently? What did you do?